Christie Digital Systems, a global leader in the manufacture of visual solutions for business, entertainment, commerce and industry. JBL Cinema Sound; provide the broadest range of auditorium and cinema-sound solutions to compete with the demands of modern day cinema-sound reproduction. Whilst Crown Audio boast amplifier systems, that are perfectly developed for cinema and auditorium solutions with unmatched quality and performance incorporating On-board Digital Signal Processing. Often considered the “Professional’s Choice”, Christie Digital maintains their tradition of developing purpose-built display systems, despite already offering amongst the widest selection of display technologies in the world. Today Christie Digital, with over 12,000 digital cinema projectors installed worldwide, design systems to meet applications as diverse as digital cinema for movie, studio, exhibition and an overwhelming majority of the world’s 3D Stereo Displays. 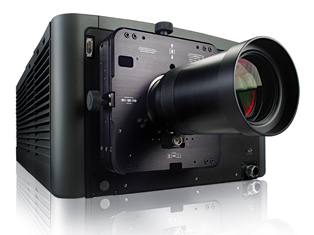 Christie were the first licensee of DLP Cinema™ Technology, the first Digital Cinema technology to be adapted by the Hollywood community and the first company to market with a networked on-screen advertising solution to help support and develop your business. Now more than ever, cinemas, studios and leading exhibitors from around the world are benefiting from the many business opportunities that digital cinema has to offer. 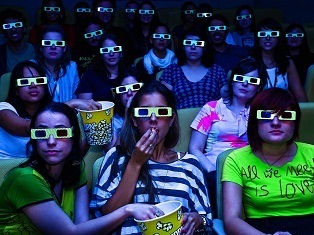 And audiences are enjoying the best possible cinematic experience, in a multitude of applications, with amazing image quality and 3D movies made possible by digital cinema. From concept to completion, Christie together with A.L.A. 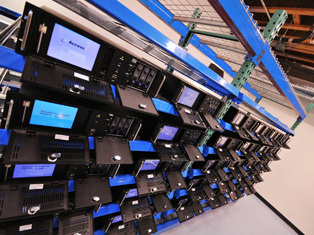 Equipment Company are the undisputed leaders in creating quality effective solutions for your cinema or auditorium. No other manufacturer provides a wider range of solutions to take on the demands of modern cinema sound reproduction than JBL Professional. With one of the longest track records in the industry (James B. Lansing Sound Incorporated, manufactured some of the world’s first true high-fidelity loudspeakers for cinema sound systems) and JBL’s legendary reputation for quality, reliability, and innovation, its easy to see why today the majority of all professional cinema loudspeakers sold worldwide are produced by JBL Professional. 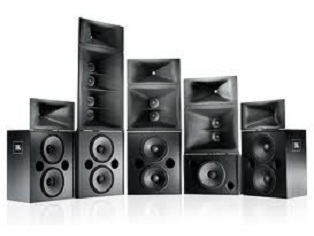 JBL Professional provide three complete lines of enclosed cinema loudspeaker systems, along with discreet components and electronics, to meet the needs of any cinema application; from the smallest rooms to the most exotic auditoriums, custom installations, renovations and retrofits. 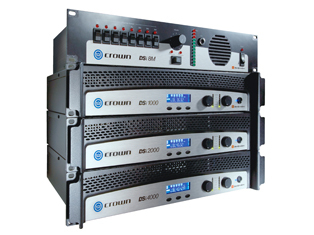 The Crown® XLS Series, CTs Series and the latest innovation The DSi Series of power amplifiers, offering four models of 500W, 800W, 1,200W, and 2,100W per channel at 4 ohms with On-board digital signal processing including crossovers, EQ filters, delay and output limiting. A rear panel HD-15 connector provides easy input/output connectivity between DSi Amplifiers and the new DSi-8M System Monitor. Hence; at the touch of a button, Crown’s DSi Cinema amplifiers deliver perfectly matched performance with each award-winning JBL ScreenArray® system, making this the ultimate cinema audio solution. System Architect 2.3 features a new system design philosophy centred on ‘Workflow’ and the use of a diagrammatic representation of the installed or live sound venue. Devices are arranged by both their physical and logical placement allowing the designer to ‘educate’ System Architect about how they are to be used. In return, the software is able to provide automation of many of the laborious system design tasks for free. For example, once the user has defined the layout of the venue and informed the software about which areas of it the amplifier outputs logically serve, System Architect provides embedded control panels which are automatically tied to the correct devices and provide source-selection, level, mute and metering, instantly accessible for each user-defined space, directly from the main Venue View.